The authors wish to thank Robert Van Buskirk (Department of Energy) and Gregory Rosenquist (Lawrence Berkeley National Laboratory) for encouraging Dr. Greenblatt to initially pursue this analysis, to Peter Chan (Lawrence Berkeley National Laboratory) for performing additional NIA runs to produce the results for this paper, and to Andrew Berrisford (BC Hydro), Gregory Dahlhoff (Dahlhoff & Associates), Scott Pigg (Energy Center of Wisconsin), and John Proctor (Proctor Engineering Group) for sharing their field-metered data. We also wish to thank John Cymbalsky (Department of Energy) for sponsoring this analysis under an Appliance Standards contract with Lawrence Berkeley National Laboratory. DOE (2010a). Notice of proposed rulemaking, energy conservation program: Energy conservation standards for residential refrigerators, refrigerator–freezers, and freezers. Federal Register, 75 FR 59470–59518, 27 September. http://www1.eere.energy.gov/buildings/appliance_standards/residential/pdfs/refrig_nopr_frnotice.pdf. DOE (2010b). Technical support document, notice of proposed rulemaking conservation standards for refrigerators, refrigerator–freezers, and freezers. Appliances & Commercial Equipment Standards, Office of Energy Efficiency and Renewable Energy, U.S. Department of Energy. http://www1.eere.energy.gov/buildings/appliance_standards/residential/pdfs/refrig_nopr_tsd_2010-09-23.pdf. DOE (2010c). Residential refrigerators, refrigerator–freezers, and freezers NOPR analytic tools. Appliances & Commercial Equipment Standards, Office of Energy Efficiency and Renewable Energy, U.S. Department of Energy. http://www1.eere.energy.gov/buildings/appliance_standards/residential/refrig_freezers_nopr_analytical_tools.html. DOE (2010d). Energy conservation program for consumer products: test procedures for refrigerators, refrigerator–freezers, and freezers; final rule and interim final rule. Federal Register, 75 FR 78810–78874, 16 December. 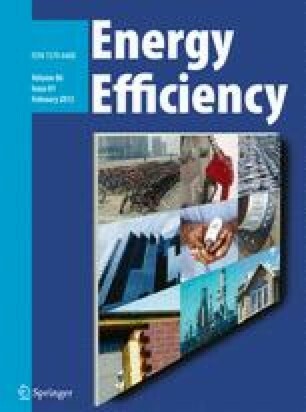 http://www1.eere.energy.gov/buildings/appliance_standards/residential/pdfs/rftp_frnotice_2010-12-21.pdf. DOE (2011a). Final rule, energy conservation program: energy conservation standards for residential refrigerators, refrigerator–freezers, and freezer. Federal Register, 76 FR 57516-57612, 57612, 15 September. http://www1.eere.energy.gov/buildings/appliance_standards/pdfs/refrig_finalrule_frnotice.pdf. DOE (2011b). Technical support document, final rule conservation standards rulemaking for refrigerators, refrigerator–freezers, and freezers. Appliances & Commercial Equipment Standards, Office of Energy Efficiency and Renewable Energy, U.S. Department of Energy. http://www1.eere.energy.gov/buildings/appliance_standards/pdfs/refrig_finalrule_tsd.pdf. EIA (2008). 2005 Residential energy consumption survey—detailed tables. Residential Energy Consumption Survey (RECS), U.S. Energy Information Administration. http://www.eia.gov/emeu/recs/recs2005/hc2005_tables/detailed_tables2005.html. EIA (2011). RECS survey data, 2009. Residential Energy Consumption Survey (RECS), U.S. Energy Information Administration. http://www.eia.gov/consumption/residential/data/2009/. Pratt, R. G., & Miller, J. D. (1998). The New York power authority’s energy-efficient refrigerator program for the New York City housing authority—1997 savings evaluation. Pacific Northwest National Laboratory. PNNL-11990. http://www.cee1.org/eval/db_pdf/332.pdf. Press, W. H., Teukolsky, S. A., Vetterling, W. T., & Flannery, B. P. (2007). Numerical recipes: the art of scientific computing, 3rd ed. Cambridge: Cambridge University Press. ISBN 978-0-521-88068-8. http://www.nr.com/bookreader_chooser.html. U.S. Census Bureau (2005). American housing survey, national tables: 2005. Housing and Household Economic Statistics Division. http://www.census.gov/hhes/www/housing/ahs/ahs05/ahs05.html. Accessed 7 May 2011. Wikipedia (2011a). Student’s t-test. http://en.wikipedia.org/wiki/Student’s_t-test#Slope_of_a_regression_line. Accessed 14 Apr. Wikipedia (2011b). Kolmogorov-Smirnov test. http://en.wikipedia.org/wiki/Kolmogorov-Smirnov_test. Accessed 14 Apr. Wikipedia (2011c). Log normal. http://en.wikipedia.org/wiki/Log_normal. Accessed 14 Apr. Wilcox, S., & Marion, W. (2008). Users manual for TMY3 data. Technical report, NREL/TP-581-43156. http://www.nrel.gov/docs/fy08osti/43156.pdf.